Firebeatz, the name says it all. The fast rising Dutch duo made up of Tim and Jurre are well known for their fierce productions and high energy DJ sets, and it's not too hard to see how they went from being students in The Netherlands to the dynamic force that is Firebeatz. 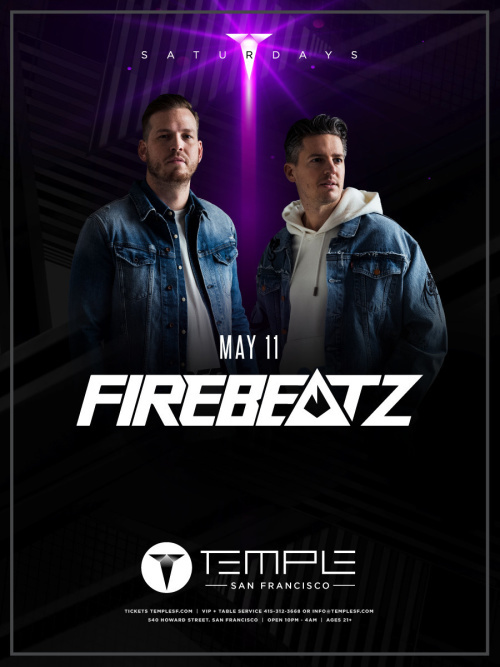 With massive dancefloor hits and widespread support from their peers and fans alike, Firebeatz have already become an established name within the global dance music industry. By consistently touring the world and spreading their musical philosophy, Firebeatz continues to grow their fanbase every single day.